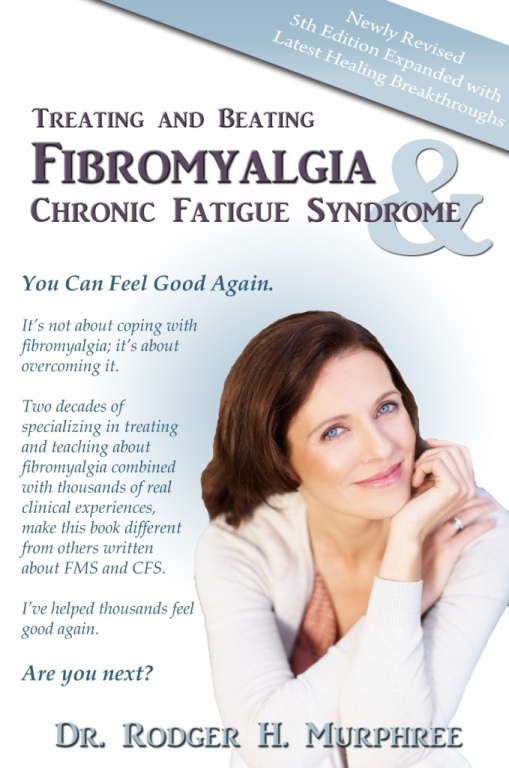 Treating and Beating Fibromyalgia and Chronic Fatigue Syndrome: A Step-By-Step Program Proven to Help You Feel Good Again (Revised) (5TH ed.) exposes the medical myths, pharmaceutical propaganda and doctor ignorance that sabotages those with chronic illness. SKU: 9780972893879. Category: Health & Fitness. Tags: CFS, Chronic Fatigue Syndrome, Dr. Murphree, Fibromyalgia. Treating and Beating Fibromyalgia and Chronic Fatigue Syndrome: A Step-By-Step Program Proven to Help You Feel Good Again (Revised) (5TH ed.) exposes the medical myths, pharmaceutical propaganda and doctor ignorance that sabotages those with chronic illness. The only way to beat these illnesses is to get healthy. Dr. Murphree explains in easy to understand terms how and why using scientifically researched and clinically proven natural vitamins, minerals, amino acids, and other over the counter supplements, corrects the problems associated with these illnesses. This isn’t another book about coping with, but about eliminating fibromyalgia and chronic fatigue syndrome. Based on his eighteen plus years of specializing in fibromyalgia and chronic fatigue syndrome, Dr. Murphree offers practical, easy to understand, clinically proven protocols for correcting the multiple symptoms of fibromyalgia and chronic fatigue syndrome. The book focuses on uncovering, understanding, and eliminating the causes of the illness and not merely covering up symptoms. Using a mostly natural approach based on science and clinic results, Dr. Murphree explains in detail how to reverse the long list of symptoms with the appropriate vitamins, minerals, and amino acids. Dr. Rodger Murphree is the founder and past clinic director for a large integrated medical practice located in Birmingham, Alabama. He has written 5 books for patients and doctors including Treating and Beating Fibromyalgia and CFS 3rd edition 9780972893848, Heart Disease: What Your Doctor Won’t Tell You 9780972893831, and others. He maintains a busy practice focusing on fibromyalgia, chronic fatigue syndrome, cardiovascular disease, mood disorders, and other difficult-to-treat illnesses. Dr. Murphree is a frequent guest on local and national radio and television programs. He writes for several professional and public health related publications. His articles have appeared in The Washington Post as well as peer reviewed professional journals, including, Townsend Letter for Doctors and Patients, Chiropractic Economics, Alternative Fibromyalgia News Magazine, The American Chiropractor, and Nutri-News. The Young Skin Diet is the product of author Michelle Lee’s survey of thousands of peer-reviewed nutrition studies, which she investigated to understand the relationship between the foods we eat and the youthfulness and quality of our skin. This book acts as an in-depth instruction manual for the practice of the 18 Stances of Taiji Qigong (Taiji Qigong Shibashi), which is widely practiced throughout the Far East and increasingly throughout the Western world. Many of the exercises are loosely based on the movements and stances of Taiji Quan. Broken into 3 parts, the book covers: the theory and practice of Qi and Qigong; the general principles of Qigong practice, and the 18 Movements of Taiji Qigong. The Theory and Practice of Taiji Qigong 3rd Ed. Why You Really Hurt is the story of how one bone in your foot could be the real reason for pains thru out your whole body, and offers a simple program to cure the problem.